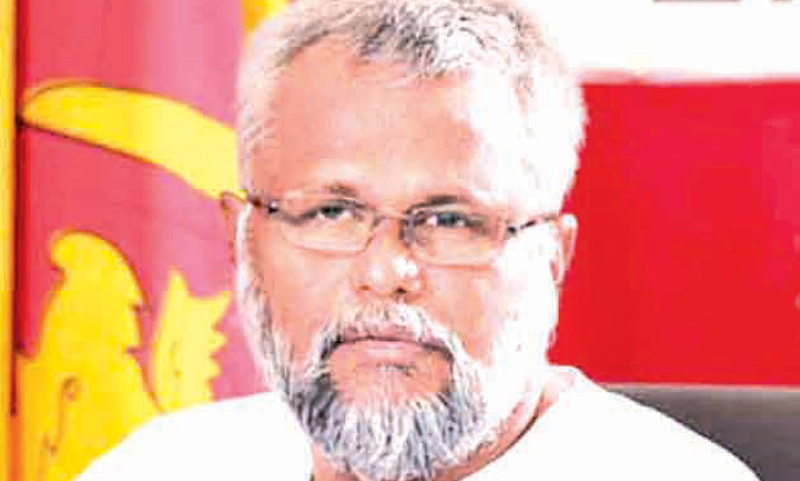 Cabinet approval has been obtained for the construction of 25,000 houses for the North and East and this project will begin in the third week of November, said Resettlement, Rehabilitation, Northern Development and Hindu Religious Affairs Minister Douglas Devananda. Speaking at a media briefing at his ministry yesterday, he said under the first phase of this project, 15,000 houses would be constructed giving priority to the internally displaced and those who have been living as refugees in India and are returning to the country. “Female-headed families, families of missing persons, rehabilitated combatants and families living below the poverty line would also be given priority when allocating houses. This whole process would be done in a transparent manner and the names of the beneficiaries would be published on the website. If anyone feels they have been overlooked, then they could appeal. These allocations would be based on their eligibility and not on political grounds,” he said. He blamed Tamil leaders of the past for the current plight of the Tamil people and said they would not make the same mistake and would take this opportunity presented to them to serve the Tamil people in the North and East. He commended the TNA members who had joined the government, adding that they could serve the Tamil people better as the TNA had so far failed to resolve the issues faced by the Tamils. Minister Devananda said he had joined the democratic process in 1987 and despite many allegations against him, he had been steadfast in his commitment to serve the Tamil people. He had not come into politics for personal gain. When asked what India’s stand was on the current issue, he said India or any other country does not have the right to intervene in this issue as it is Sri Lanka’s domestic political issue. Joining the press briefing, the Secretary to the Resettlement, Rehabilitation, Northern Development and Hindu Religious Affairs Ministry, V. Sivagnanasothy said many projects have been planned for the North and East and his ministry is committed to implementing these projects without delay. “Several harbours in the North and East and roads would also be included for development and attention would also be given to providing opportunities for toddy tappers in the North and East to curtail their wastage and use the excess toddy in a more productive and financially profitable manner. With regard to the harbours, dredging is currently underway to bring these harbours to an operational state. The Thikkam Distillery would be used for converting the excess toddy to spirits which would benefit the toddy tappers. Further, the handicraft industry and the Elephant Pass Saltern would be developed to full capacity which would also provide employment to around 1,500 persons and reduce the import of salt,” he said. Under this initiative, several temples in the North and East would also be renovated and developed.